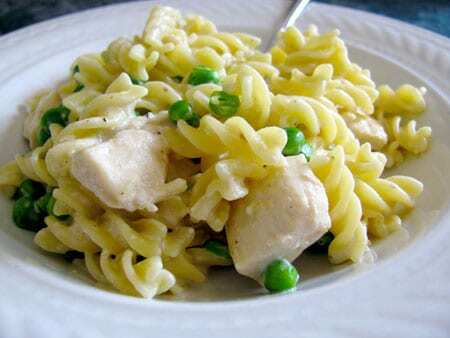 Diana Johnson shares “delicious, easy, and healthy meals on a shoestring budget” on her blog, Dianasaur Dishes, along with tips on how to stretch your food budget. She also teaches free cooking and nutrition classes to low income families in her community, and runs healthy eating and cooking programs at the local YMCA. She partners with local government, farms, and non-profits to make sure everyone in her community is given access to healthy food, and education to know what to do with it. 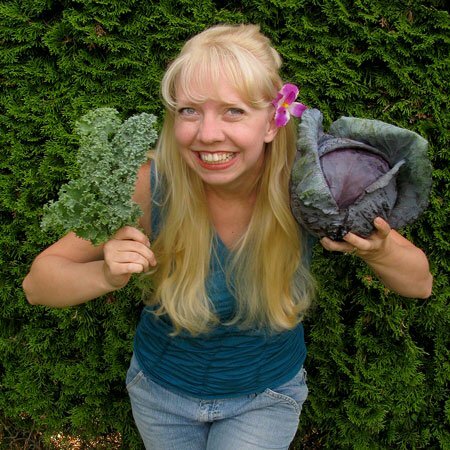 My journey toward eating unprocessed foods involved a lot of baby steps. I’m originally from Hawaii and when September 11, 2001 came, I, along with most of the people in the tourism industry, lost my job. That was when my eating habits changed dramatically in the wrong direction. I discovered that in order to pay my basic bills, I only had $1-2 a day to live on for food. I concluded that my limited budget meant that the only way I could survive was to live off of the fast food dollar menu (at that time only Jack in the Box had one). After a year of unhealthy eating, a friend gave me a bag of groceries because she had “bought too much.” She was truly a good friend who knew that my foolish pride at the time would keep me from accepting her gift unless I could pretend I was doing her a favor. With that one bag of groceries I was able to cook for myself, without recipes, for an entire week. At that point a light bulb went off and I realized that I could take my $10-14 a week to the grocery store and start buying real food to play with at home. That was the start of my healthy food journey, but I still had a lot to learn. The first place I would head in the grocery store would be the boxed-food aisle, you know where the have the Hamburger Helper type meals, except that those were out of my budget. I went for the $1 boxes of alfredo; they had these little one inch long flat noodles and package of some white powdery substance that once you add milk and butter turns into a cheese-like sauce. Of course I realized there wasn’t much nutritional value in that box, so I’d buy the chicken breast that was about to pass its use-by date, and whatever vegetables were on sale to add to my pasta. I was also the queen of ramen improvisation. I’d buy a box with 40 packages of ramen for $4 (ramen is crazy cheap in Hawaii! ), and make it last for three months. I’d use it in soup, salads, casseroles, anything I could think of. Often I wouldn’t even use the flavor packets, I just loved the cheap noodles! My friends would want to have me cook dinner, and I worked that system. One would provide a bell pepper, someone else would bring a chicken breast, someone else a few potatoes, I’d provide the ramen and do the work for an amazing, oven-roasted casserole of experimentation. Financially it definitely worked out the best for me! Eight years down the road, whether or not to buy or eat processed food is rarely a question for me. I get a CSA box every Spring through Fall from a local farm, I forage for what’s available in my area, I buy meat in bulk from local ranchers, and I stay on the outer edges of grocery stores to avoid the processed food aisles. Don’t feel bad if eating unprocessed is not like the flipping of a switch. It can take time! If you’re hoping to make your journey a little speedier than my own, I have a couple quick tips. Find a farm in your area or grow your own food. I’m not against grocery stores, but if you can get local produce by either buying a share at a farm (also known as a CSA, or community supported agriculture) or growing it yourself, DO IT! The food will taste better, be better for you, and almost always be more affordable. It’s also a lot of fun because you often get to play with different ingredients that might not normally buy in the store. 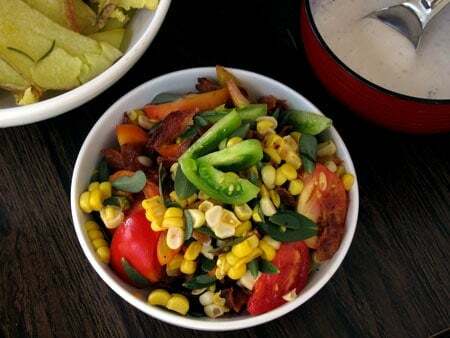 The salad above is a mix of fresh corn from our CSA, ripe and unripe tomatoes from my backyard (I’ve never played with green tomatoes before), bacon from a local farm, and purslane from our driveway…which brings me to my next point! Learn about foraging. 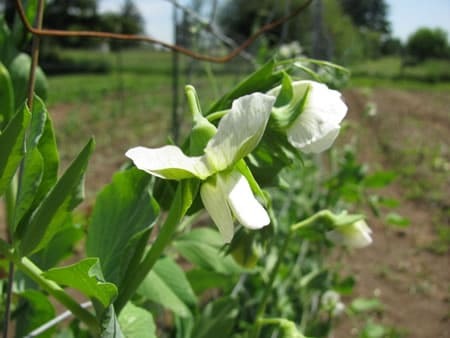 If you just do a little research online, you can usually find out what edible plants grow wild in your area. 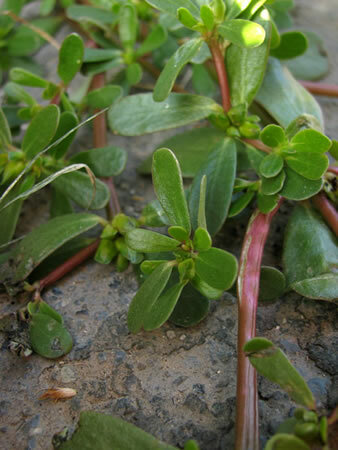 The plant above is called purslane, and it contains more omega-3 fatty acids per serving than most fish! It’s a weed that grows in sidewalk cracks and often takes over gardens. I spot it all over the place in my city, so if you’re ever in Auburn and see women outside the grocery store collecting it for food, they’re probably members of my cooking classes! 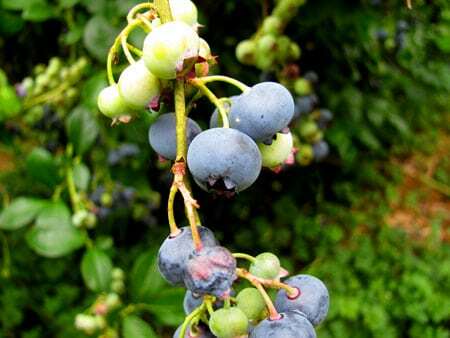 We also have lots of berries, mushrooms and other tasty tidbits that grow all over the place. Eating unprocessed foods starts out as a conscious choice; you read the ingredient list to make sure you recognize everything listed, you put down the preservative laden jar of jam in favor of making your own, you decide to make snacks from scratch rather than buying them in a box. Eventually it becomes a habit and a way of life. You no longer have to decide between the “dried fruit snacks” or dried fruit. The cool thing is, not only will this be better for your body and the environment, it’s also better for your pocketbook! Don’t believe the lie that I did, being poor doesn’t have to mean eating poorly. If you need more ideas to help you out, be sure to check out my Top Ten Tips for Eating Healthy on a Tight Budget. You’re more than halfway through your Eating Unprocessed month, keep going strong! I have a feeling that by the end of the month, you won’t want to go back to some of your old habits. What a great story of your choices in eating. It would have been too easy to just continue down the fast-food road when less income was coming in. And in expensive Hawai’i no less. I agree with TikiPundit – what a great story! Inspirational, and my favorite post so far this month. Although I’m off the wagon to some degree, I’m still following the challenge and will continue to incorporate all the great ideas into my daily life of shopping, cooking, and eating. Keep it up! Yes, yes, yes! There is so much food that just goes to waste in this country – neighbors with fruit trees that they don’t pick, various dandelions, purslane, lamb’s quarters and other extremely nutritious weeds. Seeing it for what it is (and having a safe, unsprayed source) turns a problem into a resource. Thank you so much for speaking to this! Thanks everyone! Yes Tikipundit, Hawaii is crazy expensive. Tara, glad you’re not getting discouraged. Real life change takes time and happens in stages. Every step towards eating better is an important one. Gardenatrix, one of my favorite desserts ever was when I made neighborhood apple pie by asking everyone who had apple trees if I could pick some. Somehow food that you can find in your area by foraging tastes even better because of the experience!